If you’re searching for a healthcare facility that offers holistic and functional health services as well as Western medicine, look no further than The Fatigue Clinic - Collierville Holistic Health. We are the longest practicing medical provider in the Collierville, TN area that focuses on both traditional and alternative medicine. Our combined approach to medicine allows us to provide our patients with greater quality of care. Call us and schedule an appointment today! Our clinic was created out of a rebellious spirit. We saw the need for a healthcare facility that refused to bend to the demands of modern medicine. This path was decades in the making. Our founder had been nurturing this idea since her first emergency medical position until her last APN position. 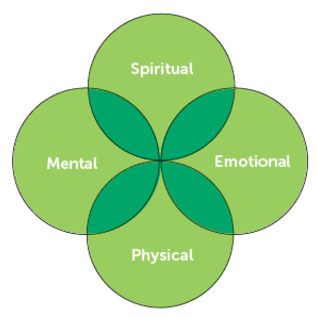 Through a combination of Western and holistic medicine, she aimed to improve the quality of life of the individuals that trusted her with their care. To this day, we continue practicing our founder’s philosophy for the clinic. We strive to maintain a healthy, creative work environment. Our team respects diversity and promotes quality healthcare and services. We value the characteristics that each team member possesses. Also, we promote trust, integrity, commitment, and an overall desire to improve the quality of life of other souls. We believe that the return on the investment in an individual’s health will lead to improved family dynamics, enhanced overall well-being, and a chance to impact the next generation’s health. 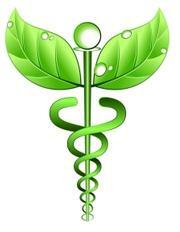 Our founder, Susan, is certified in Herbalism. This is why we can make organic and natural soaps, lotions, scrubs, and teas. Each of our products can help enhance one’s health and well-being. If you need an item that we do not currently offer, tell us about it and we’ll strive to have it custom-made for you. Before you visit our clinic, make sure to download and fill out your new patient information form. We will not be able to accommodate you unless you send us the completed form at least three days before your appointment. At the moment, we accept Cigna, some Medicare with secondary coverage and BCBS except the S plan. We do not accept Medicaid, TN Care, or other insurance plans. Our facility is a cash-based clinic. We have actually received checks for 2 cents, and we are fined by Medicare when we see these patients. Why Do I Need to Send My Paperwork Prior to My Visit? Our goal is to take care of you as soon as you arrive. To ensure that we can accommodate you in a quick and hassle-free manner, we prepare your chart prior to your arrival. As much as possible, we would like our clinic time to focus on face-to-face interactions. During the other three days of the week when we don’t see patients, we work on charts, review old records, follow up with outpatient testing, and take care of other patient requirements. What Happens If I’m Running Late for My Appointment? Due to the way our clinic is scheduled, it is vital that you arrive at your appointment on time. However, if you really can’t make it on time, please call our clinic staff. We will attempt to adjust our clinic schedule or set your appointment to another date or time. The overall cost of your visit will depend on the resources you use, and the payment must be made at the time the services are rendered. Resources include all associates in the clinic (such as the EMT, RN, MA, and provider) as well as your needed treatments (like holistic sessions for pain or services that address your other complaints and concerns). Each staff member and healthcare provider who meets with you plays a role in your care. We work together as a team to complete all patient-related tasks and responsibilities. If we don’t answer your call, it means that we are with patients. During clinic days, we place our focus on the patients who have already set appointments for that day. However, if you leave us a detailed message, we’ll make sure to return your call by the day’s end. In your message, please include the spelling of your name, your date of birth, your callback number, and some details about why you wish to visit our clinic. We have more than 2,000 patients, and we want to ensure that we call the right one back. So, don’t forget to send us your important information when you make the call. Yes, we can answer short questions and requests via email. We usually answer patient emails after hours. All of our associates answer emails when they can, and most of your medical concerns will be addressed by the RN or the provider. However, bear in mind that we cannot answer long questions and more complex concerns. When you email us, please include a subject line. We have a system that allows patients to log in and view their lab results. However, you cannot do this until the provider has reviewed the lab results and released them on the site. If your test results show that there are health concerns that need to be addressed, the RN or provider will reach out to you (via phone or email) with instructions and a plan of care. Will Insurance Cover My Lab and Outpatient Testing? Most insurance coverage plans include lab and outpatient testing. Make sure to check with your carrier to be sure. Will You Fill Out My Disability Paperwork? No, we do not fill out disability paperwork or other lengthy documents. There are many reasons why we do not do this. Contact us to find out more. For more testimonials, view our Facebook page. Tuesday - Wed 8:30 - 5:00 pm.